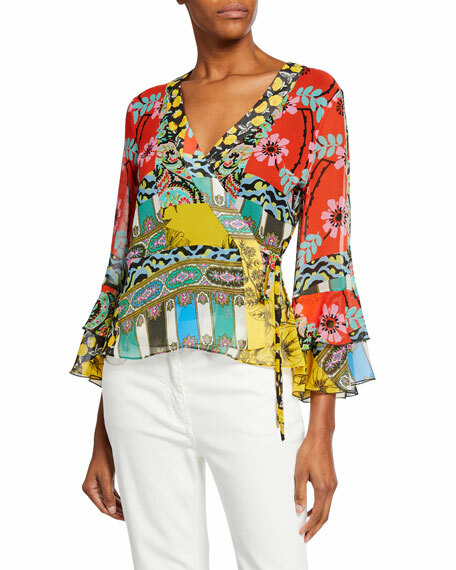 Alice + Olivia "Zabel" floral-printed top. Surplice V neckline. Layered cap sleeves. Wrap silhouette. Cropped hem. Viscose/silk, shell. Polyester/spandex, lining. Made in USA of imported material. 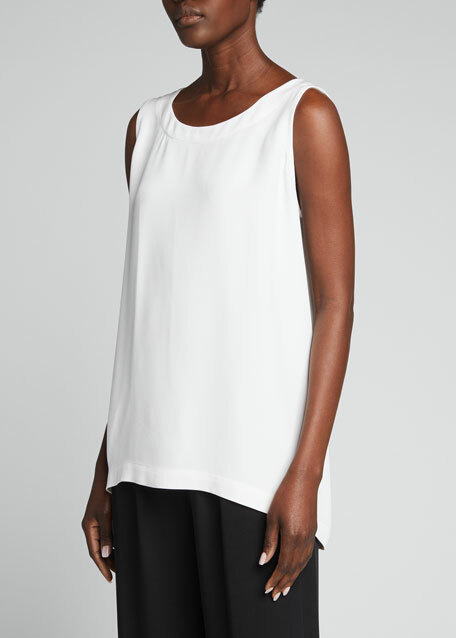 Elie Tahari "Hazel" semisheer jersey-knit shell with topstitched bound seams. Approx. 26"L from shoulder to hem. Scoop neckline. Sleeveless. Fitted silhouette. Rounded hem. Pullover style. 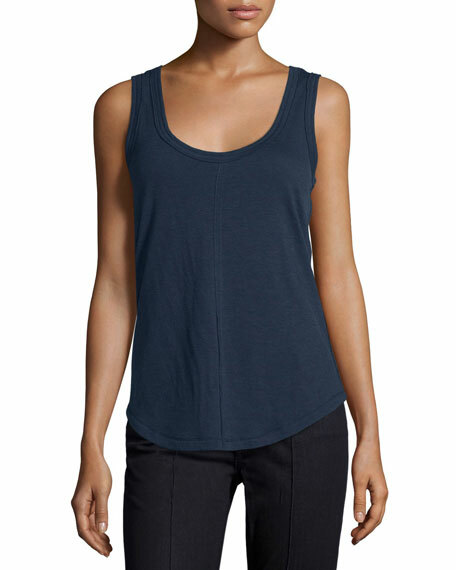 Tencel lyocell/wool. Imported. Etro blouse in paisley collage-print chiffon. Surplice neckline; front ties at side. Long ruffle-tiered bell sleeves. Wrap style with side tie. Straight hem. Silk shell and lining. Dry clean. Made in Italy. Lafayette 148 New York finespun voile shell with semisheer yoke. Turtleneck. Sleeveless. Fitted silhouette. Straight hem. Pullover style. Nylon/silk/lyocell. Imported. 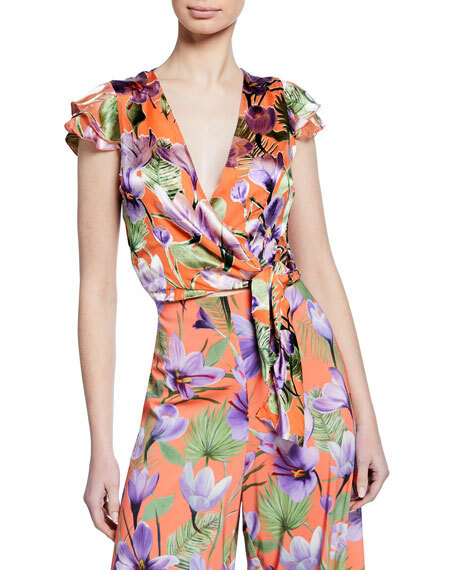 Model's measurements: Height 5'9"/175cm, bust 34"/86cm, waist 25"/64cm, hips 35.5"/90cm, dress size US 2/4.